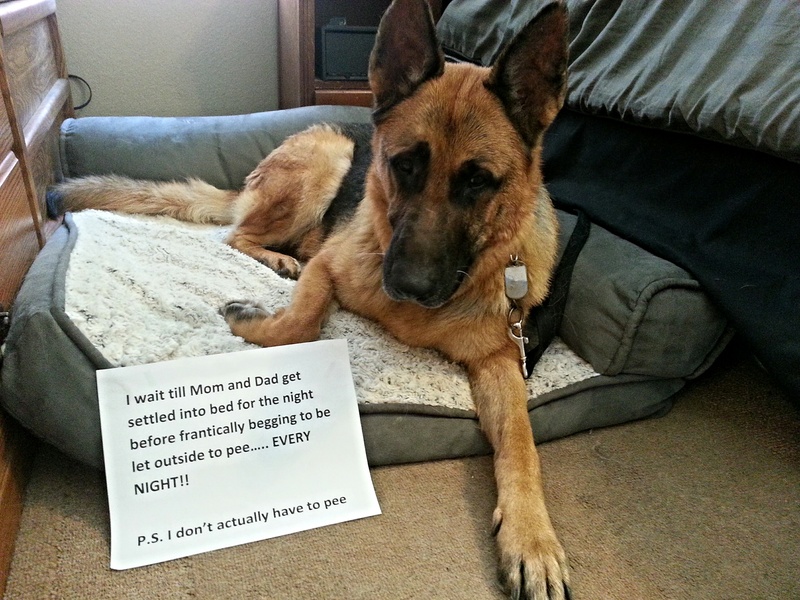 Rugar waits till we are in bed for the night before frantically acting like he has to pee…. Every night. So every night I let him out and he just sits by the back door. I would ignore him but he just keeps at it till I let him out. Posted November 14th, 2015 . German Shepherds like to patrol. Our shepherds do the same thing pretty much. Try giving him a job patrolling before bedtime. He just wants to make sure it is safe outside in case your toilet dysfunctions and you have to go outside.